Medicines and various drugs – the legal ones, of course – are always in demand because even the healthiest people can get sick. So, if you are looking for a new business to start, you should try getting a drugstore! Generika Drugstore is a good option, especially because majority of people prefer buying cheaper but safe alternatives to expensive drug brands. Established in 2003, Generika Drugstore offers affordable medicines. The family of Alexandra and Julien Bello and the family of Teodoro and Rosalinda Ferrer went on a joint venture to establish the brand back in September 2003 to address the problem of expensive medicines in the country. But because not one of them had a background in retail business or the local drug industry, and they did not also have medical degrees, the progress of the company was slow. But as they gradually learned the ropes and hired competent professionals, the company would soon grow from an office in a small 2-bedroom apartment in Goodwill Village, Parañaque City to a huge brand with over 500 stores across the Philippines! 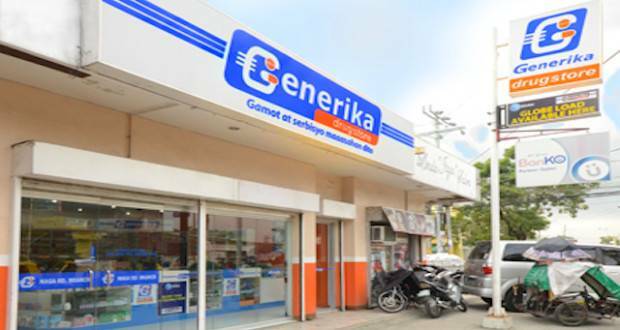 Beginning in 2008, the company began offering franchise options – and you could be one of the new owners of a Generika Drugstore! What’s great about this company is that franchisees can offer not just medicines but other useful medical and non-medical services which can help them attract more customers. Unlike other generic drugstores, they also offer branded medicines. There are several options in franchising Generika Drugstore; franchise fees and total investment costs depend on the package you choose. Total investment cost range from Php1 million to Php1.4 million.